If we had a dollar for every time we got home from a shopping trip and thought, “Oops, I probably shouldn’t have bought this,” we’d be filthy rich, and probably would never concern ourselves with things like buyer’s remorse. Despite our best intentions, we often find ourselves having exactly this experience—and wish we could be smarter about how we shop. To that end, we’ve come up with one fitting room hack that promises to transform how you shop and erase your omnipresent buyer’s remorse for good. Read on! It’s simple: Ask yourself three questions while you’re trying something on. 1. Does this truly fit me? 2. Can (and will) I pair this with at least three other items in my closet? 3. Am I financially able to purchase this? If you don't honestly answer yes to all three questions, do not buy the item. Voilà—soon you’ll have a closet full of things you only really, truly wanted to own. Scroll down for 10 pieces everyone can say a resounding yes to! Happy shopping. 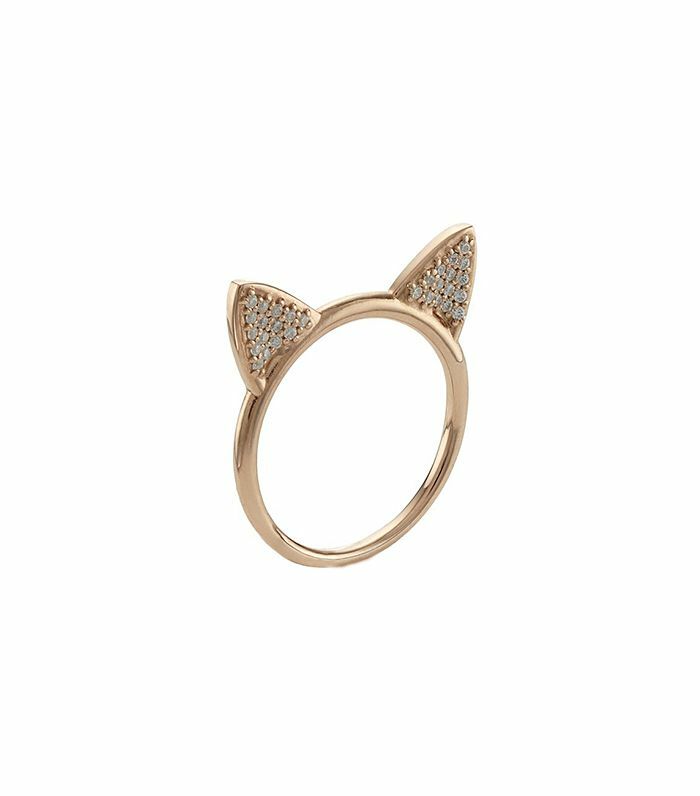 How adorable is this rose gold and diamond ring in the shape of a cat’s head? Meow. A slim-fitting pair of high-waisted black jeans is simply a must-have. Here’s an LBD that is actually flattering on every body type. If you’re a bit shy of animal prints, a modest dose is a great way to start. This pretty pink skirt is incredibly versatile and will quickly become a wardrobe staple. And why not get a little leather backpack in a matching shade? A striped button-up blouse in a boyfriend cut? Yes please. We love the slightly slouchy vibe of these boyfriend jeans. Weitzman’s classic Nudist sandal gets a chic all-white makeover. We can’t decide if we want to wear these furry mules—or pet them.